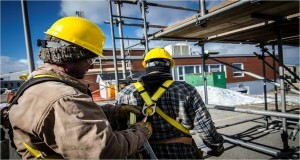 If you are required to utilize fall protection equipment on Oil Sands Sites you must have OSSA Fall Protection Training and be competent in the proper use, care and maintenance of fall protection equipment. 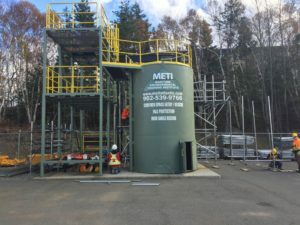 METI’s Training includes practical exercises, class discussion, DVD presentation, written knowledge test, and practical exam. Oil Sands Safety Training (OSSA) OSSA Confined Space Entry & Monitoring Training OSSA Fall Protection Training OSSA Fire Watch (Spark Watch) Training OSSA Elevated Work Platform Training OSSA Basic Safety Orientation (BSO) In order to perform work at heights on Oil Sands Safety Association (OSSA) sites, OSSA Fall Protection is required. Back to our Safety Training.